OpenText, a global leader in Enterprise Information Management (EIM), announced this year’s inaugural Enterprise World Europe will bring together business leaders from across Europe to discuss pressing issues for intelligent and connected enterprises. Hosted in the center of Vienna, Austria, Enterprise World Europe will deliver inspirational keynotes, industry-relevant breakout sessions and vibrant opportunities for networking. Enterprise World Europe will take place March 12-14, 2019 at the Austria Center in Vienna. Insight from OpenText leaders: Mark J. Barrenechea OpenText CEO and CTO will help the Enterprise World audience navigate the Fourth Industrial Revolution, and Muhi Majzoub OpenText EVP of Engineering will share product insights including how OpenText products are helping to solve today’s business challenges. Inspirational guests: Attendees will be treated to a keynote from Dr. Michio Kaku, physicist, noted futurist, and author of four New York Times bestselling books; as well as a luncheon discussion on corporate sustainability and technology featuring Ole Lund Hansen, Chief Global Operations and Executive Management team with the UN Global Compact. Leaders’ Event: A new program will provide C-suite leaders with a uniquely constructed talk track that includes industry thought leaders, networking and access to OpenText Executive leaders to help equip them as they lead their organizations through complex digital and industry transformation. Security insight and intelligence: A specific security track recognizes the unique and pressing challenges facing organizations looking to reinforce their information security. As stewards of customer, citizen and stakeholder data, organizations need to continually update their approaches to cybersecurity. Applied training and learning: Attendees can sharpen their skills in EIM while making the most of their investments in OpenText solutions with applied learning opportunities that are designed to improve productivity and operational excellence. 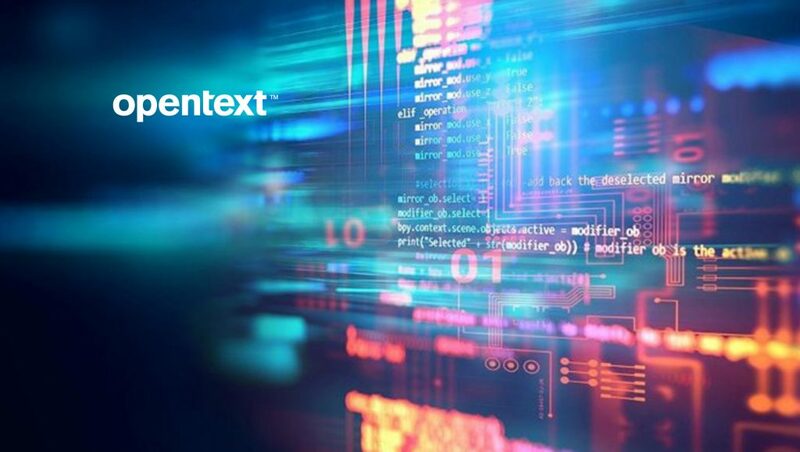 Customer and partner insights: OpenText customers and partners will share their views on technology trends and how the industry is evolving. A panel will discuss the importance of corporate social responsibility for all organizations. Engage with OpenText Innovation: Participants will be able to see first-hand emerging applications, useful micro-services and fresh business-line innovations from OpenText and its partners.